2017 began with important leadership changes at Hawaii Life. It concluded with the addition of several more top-producing brokers and agents on Oahu. Throughout the year, our team worked diligently on a number of key projects that will improve our clients' experience, streamline systems, broaden our global network and expand our audience. Here are a few of the happenings from this past year that have contributed to our success and that will lead us into an exciting 2018. For starters, Rhonda Hay was promoted to Director of Business Operations this year, a move that served to acknowledge a role that she had already taken on. Rhonda has been essential in helping Hawaii Life to scale as we have grown. This promotion also served to empower her to streamline the operations of our sales systems even further. The work she does behind the scenes with our technology vendors is as impressive as the work she does with the brokers and agents, who have entrusted their careers to us. I call her Smokey the Bear. If there’s a fire, it’s already out. On our senior leadership team, Katie Minkus was promoted from Statewide Director of Sales to Director of Business Development. In her new role, Katie is tasked with mergers and acquisitions, as well as working with new project developers around the state. Katie oversaw the launch of the Developments section of hawaiilife.com. The goal was to create a one-stop shop for anyone interested in new residential construction projects in Hawaii. That section has been a resounding success and we’re all expecting it to grow since the lack of residential inventory continues to be a challenge in Hawaii. Katie has also been working closely with Kahea Zietz, the Broker-in-Charge of Hawaii Life Vacations and Property Management. They have a couple of incredible new announcements coming up in January. Without stealing too much of their thunder, let’s just say that we’re growing into whole new arenas of real estate under Katie’s leadership, and it’s an incredibly exciting area where Hawaii Life will shine. Continuing on the leadership front, we hired two new Brokers-in-Charge in early 2017. First, Leiola Augustine joined Hawaii Life as the Broker-in-Charge of our Kailua-Kona office. Having Leiola on our leadership team makes me feel smarter, even if only by osmosis. I’m convinced that Leiola is the future of our company, both literally and figuratively. Her style, vibe, and overall stoke are contagious. The future is bright for all of us with Leiola around. Next up was the addition of Julie Archambeau on Oahu. Julie was previously a Broker-in-Charge for a giant Realogy-owned company on the island of Oahu. Julie is an absolute powerhouse of energy, with a ton of passion for Hawaii Life and for growing the careers of others. It’s been a pleasure to work with Julie and to watch her transmit her incredible enthusiasm into our crew on Oahu. We recognize the contributions of all of our amazing team members across the state. 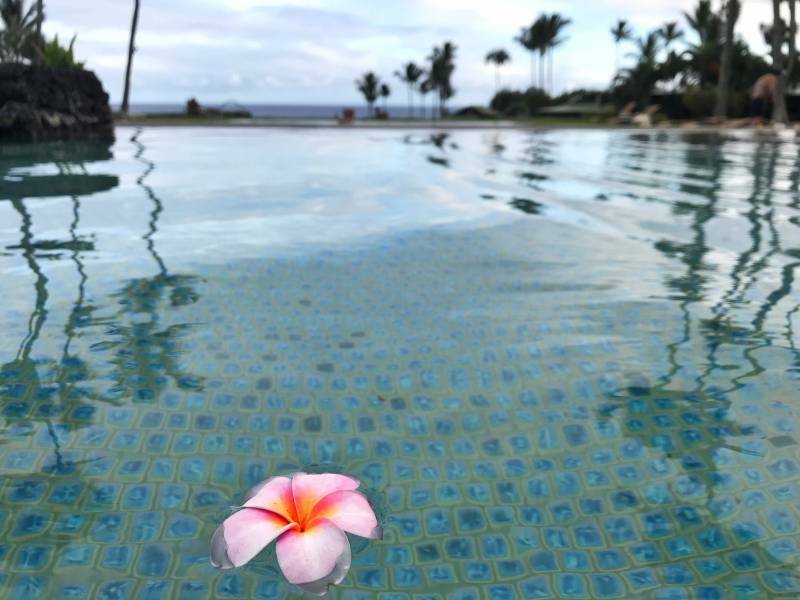 We are especially grateful for the contribution of women to Hawaii Life, who power more than two-thirds of our $1 billion in annual sales. That’s proportional to their representation here at Hawaii Life since women make up two-thirds of our company and a full 79% of our Brokers-in-Charge (15 of 19 of them are women). That number recently bumped up with the addition of two more powerhouse women. Patricia Choi and Julianna Garris, both with The Choi Group at Hawaii Life, joined our team in late December. We are proud of and grateful to the many women in leadership roles and in every aspect of our business. In January of 2017, Hawaii Life became the exclusive statewide affiliate of Christie’s International Real Estate. We had previously been the affiliate for Kauai, Maui, and Hawaii Island. Adding Oahu in 2017 makes us the exclusive Hawaii representative – the only Christie’s affiliate to serve an entire state. Hawaii Life has always been staunchly independent, and since Christie’s is not a franchise operator, we’re able to maintain our own identity while working with them and not for them – to tremendous advantage. To represent all of Hawaii as the exclusive affiliate is both a privilege and an honor and the affiliation has proven to be a powerful partnership for Hawaii Life. Perhaps not surprisingly, Hawaii Life shares clients in common with Christie’s art and jewelry departments. Christie’s International Real Estate and Christie’s Auction House serve as a powerful client network of high net-worth individuals worldwide. Looking forward to 2018, and especially with the addition of The CHOI Group with Hawaii Life, we’re excited to host more Christie’s events across the state and to extend their services to our clients. Also on the list of things exclusive to Hawaii Life, we shot the 10th and 11th Seasons of our popular HGTV show Hawaii Life in 2017. Those episodes are currently airing on HGTV and the show’s fan base continues to grow locally and around the world. More than 20 million viewers watch the show in a given season and that’s not counting the many more who catch it on demand, on iTunes, or even on Hawaiian Airlines flights. We’re thrilled to announce HGTV just ordered 26 more episodes of the show! That means we’ll be casting for Seasons 12 and 13 in the spring and we’ll start shooting shortly thereafter. Kahea Zietz, our Broker-in-Charge of Hawaii Life Vacations, returned this year as co-host of the show with me. We saw a few brokers and agents shoot multiple episodes, as well as some new participants in front of the cameras. 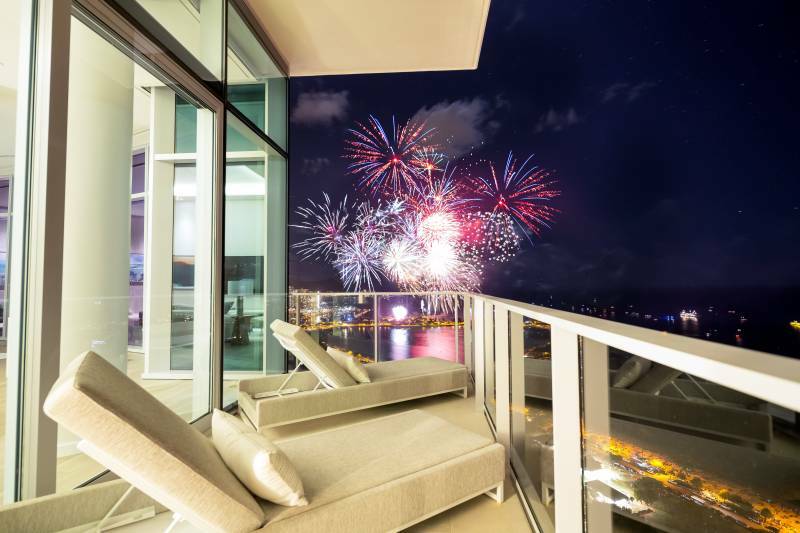 We look forward to more of this incredible exposure for our agents, brokers, clients, and listings in 2018 and beyond. In April of 2017, we launched an entirely new version of hawaiilife.com. If you’re familiar with our approach to digital and content marketing, you know that we view it as a living, breathing thing. It’s a voyage, not a harbor. 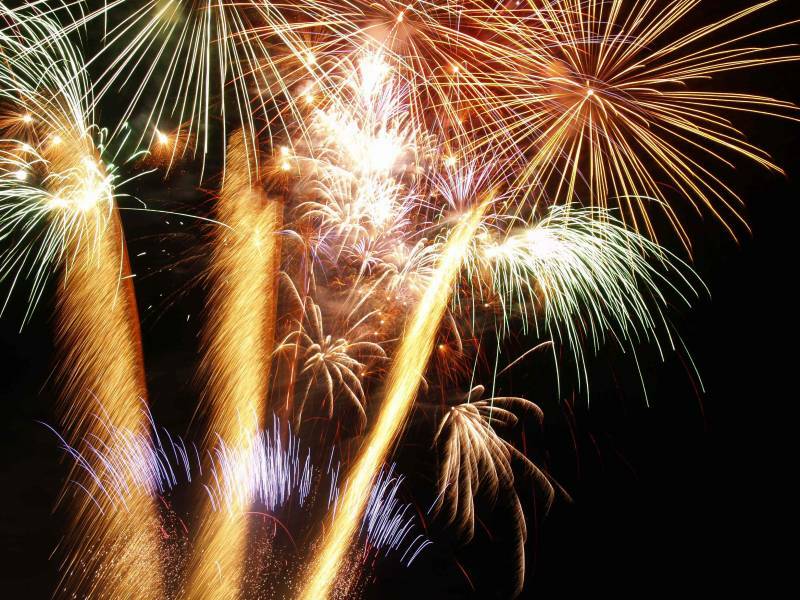 This year, we started from scratch and rebuilt the entire website from the ground up. It was an extraordinary effort, but it’s a testament to our commitment to constantly iterate and to focus on the future, not the past. The direction we took is extremely bold. We focused intense efforts on improving our digital platform to showcase our deep bench of useful content. We're tapping into the expertise of our more than 200 highly experienced agents statewide to curate the best, localized market knowledge, insider info, inspiration, and industry analysis. 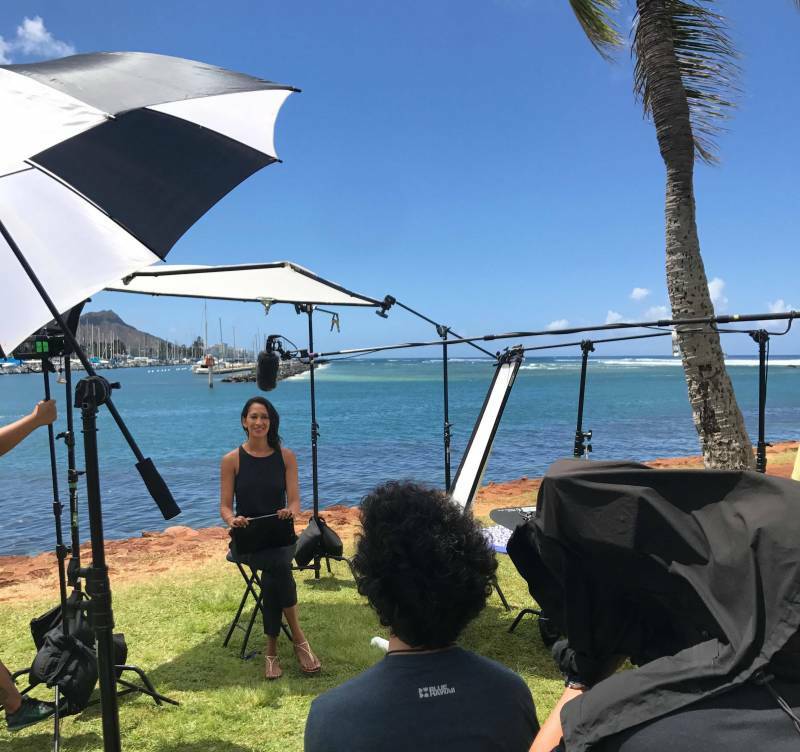 We’re focusing on our stories – what it’s like to live and work in Hawaii – but also, on relevant, often entertaining, informative content that's important to the decisions our readers and clients are making. We realized that we have at our fingertips a brain trust of real estate insights and market intelligence, so we amped up our digital platform in order to better share all of that amazing expertise with you. With unparalleled traffic drivers like our HGTV show, our website sees more than 3 million visitors per year, generating leads and interest in our brand, our agents, our brokers, and our listings. We’ve achieved all of this using a flexible style that’s visually appealing and that allows us to easily embed videos, virtual tours, 3-D renderings, and integration with our existing cutting-edge technologies. It’s safe to say we have the most sophisticated CRM, Transaction Management, Inside Sales, and lead-routing in the industry. With the launch of the new hawaiilife.com, we also have a solution that seamlessly integrates all these capacities in a clean, visually appealing format that is – most importantly – incredibly responsive on mobile devices. As real estate search changes, so have we. Recognizing that most people are now searching for properties on their phones, we wanted to bring them a clean, easy-to-navigate platform. But it doesn't end there. We have a deep bench of appealing, relevant content across multiple platforms; print, internet, and television. In print, we produce our HL1 magazine and unique marketing materials for our agents; on the internet, we lead the way with Hawaii’s most visited real estate website; and on television, we have our highly acclaimed HGTV program. Coming into 2018, we have some very high-level initiatives built into our digital marketing strategy, specifically as it pertains to search engine optimization and to expanding the exposure of the listings we’ve been hired to sell. We’re not letting up. We continuing to iterate, refine our technology, measure results, and consider the future. As a corollary to our modern lead-generation tools, our talented Inside Sales team referred more than $100 million in closed sales this year, and we expect that number to dramatically increase in 2018! Our distinctive in-house capabilities continue to expand to better serve the needs of our clients, agents, and brokers. Our Marketing Services team produces more than 3,000 unique pieces of marketing collateral each year for our agents and brokers. Our robust Vacations division serves as our own internal feeder market for our brokerage clients. Our Agents Services and Transaction Management tools continue to set us apart. Under the leadership of Mealoha Kraus, the Hawaii Life Charitable Fund (or HLCF) had a record year. The Charitable Fund is entirely directed by brokers, agents, and employees of Hawaii Life. Money raised by the HLCF is distinct from Hawaii Life’s giving as a company. Mealoha and her board of directors, who are charged with managing the fund, have grown it to more than $70,000 through the kind contributions of our brokers and agents statewide. 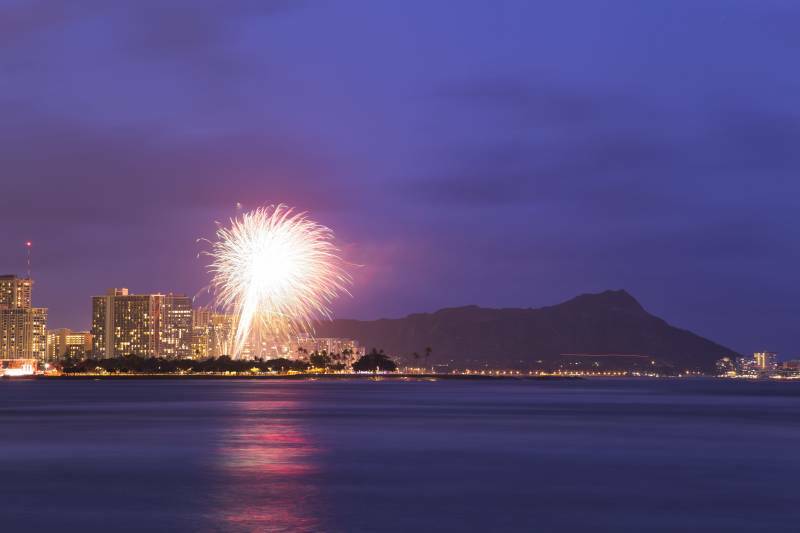 Hawaii Life’s agents recently voted on a theme for the direction of the fund for the coming year. For 2018, they chose Caring for our Keiki, so that funds raised throughout the year will support organizations that provide services to Hawaii's children. If you haven’t already taken advantage of the itemized tax deductions still available to you in 2017, you can donate to the Hawaii Life Charitable Fund by clicking here. As a company, Hawaii Life expressed its own commitment to philanthropy in a host of ways in 2017. 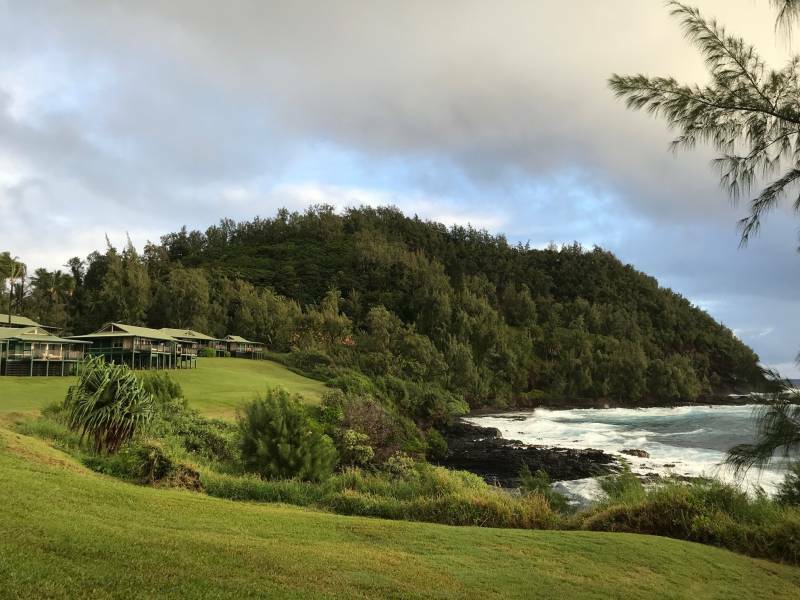 As part of our continued support of the Hawaiian Islands Land Trust (HILT), Hawaii Life joined the Na Koa Aina Fellowship with a pledge of $30,000. HILT is an accredited, statewide land trust devoted to the preservation of Hawai‘i’s precious natural resources and cultural heritage. Partnering with HILT allows us to invest in the preservation of Hawaii’s open spaces. In 2017, Hawaii Life also supported AccesSurf Hawaii through sponsorship and volunteer efforts. AccesSurf is a non-profit creating community-based programs for anyone with a disability to enjoy the ocean. Check out this video of their Day at the Beach program and our recent blog post describing the experience. In June, as we have in previous years, we also supported the Maui Film Festival. Maui is blessed to have the film festival return every year and we’re honored to help support it. In case you missed it, here’s a spot we ran at the Celestial Cinema. 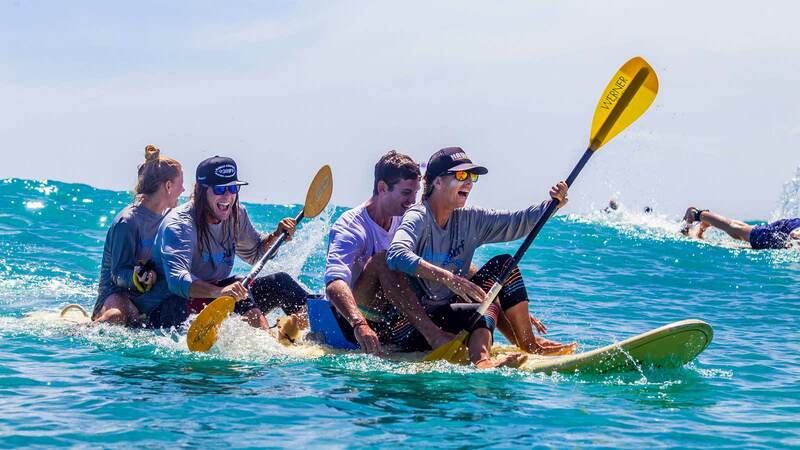 In 2017, we also supported our own Kauila “Scooter” Sagum in Bradah Mel’s 11th Annual Waterman Championship at Makaha Beach. Hawaii Island Veterans Memorial, Inc. Going into 2018, we couldn’t be more excited about the inclusion of The CHOI Group on Oahu, and what this growth means for our team across the State. 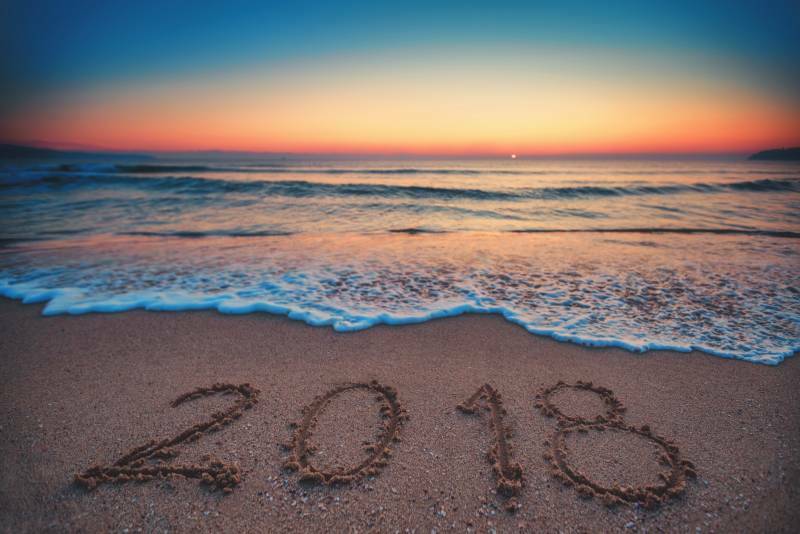 We fully expect that 2018 will usher in a whole new level of success for Hawaii Life, largely because of the momentum we have built into this next year. In 2018, we’ll celebrate ten years of doing business. In that short time, we’ve grown into the third largest brokerage in the state, leading in luxury listings and sales. As I reflect on 2017 and our ten years of operation, I credit our success to a number of strategies and distinctive ways of doing business, but mostly I credit our Hawaii Life culture. It’s something that I value so highly. 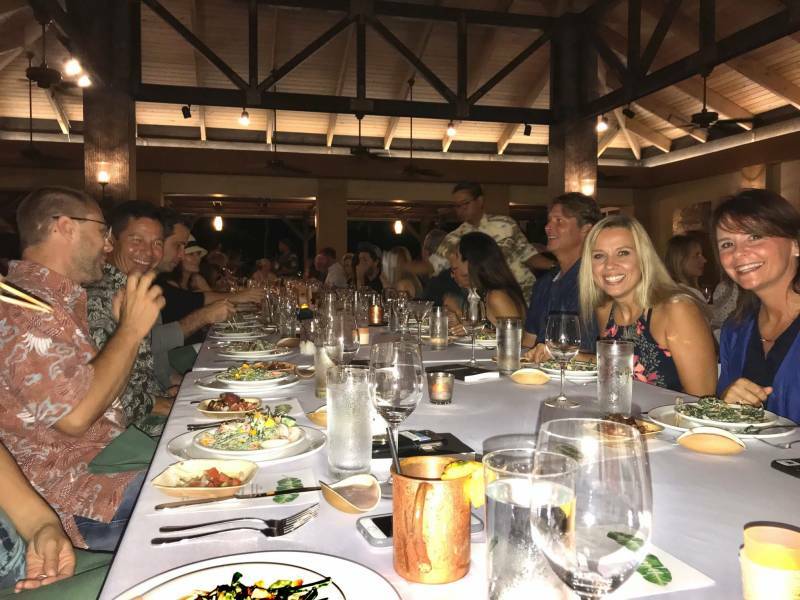 At Hawaii Life, we are a community of people and it’s our agents, brokers, clients, and incredible colleagues that make up that community, and who have built our reputation over a decade. Our success as a company is built upon the contribution of every single person who has been a part of Hawaii Life. The types of people connected to this company are unique and it’s through their talents, personalities, their heart, and hard work that we’ve created a vibe and culture beyond anything I could have hoped for. Company culture, after all, isn’t something that can be created top-down – instead, it’s the collaborative efforts, contributions and approach to life – and to doing business – of every individual in our community. Hawaii Life is made up of more than 200 amazing agents, our thousands of clients, our peers, and the larger Hawaii community in which we all live. In lieu of our annual Worthshop this year, we gathered for a weekend retreat in Hana, Maui in November. We celebrated our community and our Hawaii life in a really informal setting, with the hope of talking story, hanging out, and connecting. All of these unique people have helped to create this incredible culture that makes Hawaii Life so special. Whether you're a client or a co-worker or a peer in our community, I want to say a huge mahalo for being a part of Hawaii Life. I am so grateful for your contribution and for this amazing network that we’ve all created together. We're celebrating 10 years in 2018. Watch this space for new happenings and exciting growth. Going into 2018 and our second decade of success, Hawaii Life is going to be bigger and better than ever!